Puppies get baby teeth even earlier than infants so your puppy probably already has baby teeth if he is eight weeks old or older. By the time they are six or seven months old, puppies usually have their adult teeth. Similar to humans, they feel teething discomfort when they are losing baby teeth because adult teeth are pushing against their gums. Often puppies react by chewing almost any item. This can be frustrating to owners, but alleviating your puppy’s discomfort can reduce chewing the wrong items and help your dog feel comfortable. There are several ways you can help your puppy soothe his gums. A vet can prescribe a cream or ointment that you can apply to the puppy’s gums. The cream can numb and soothe the gums to make your puppy comfortable. Divert your canine’s attention from his teething discomfort by keeping him busy. Play with your dog, and provide him with a variety of chew and rope toys. Rubber and rope toys with different textures and shapes will keep him interested in playing and alleviate his soreness. Often a cold sensation will be soothing to your puppy. Try freezing a toy so the coolness helps alleviate the pain better. Essenti offers an extensive collection of dog balls, tug toys, rope toys and dog chew toys that can satisfy your puppy’s desire to chew. Our scented toys naturally attract your puppy to chew on his toys instead of furniture or clothing. Most of our toys are rubber, so they are perfect for freezing. Your dog’s aching teeth will love being soothed by a cold, washable Essenti toy. Purchase a variety of Essenti toys, so your puppy stays interested in chewing and playing with his toys instead of focusing on his pain. Order our Essenti toys so you can help reduce the pain in your puppy’s irritated gums today. If you want your dog to compete in shows, you must prepare him properly. Although the appearance of your dog is important, you must also spend time teaching your dog to behave properly during the show. Watch a dog show on television, and notice that the dogs stand in proper stacked position when they are not circling the ring. The paws are straight and evenly aligned, so there is a rectangular shape between the front and rear paws. The foot position of some dogs varies in some breeds so view photographs of a properly stacked dog of the breed you are training. Stacked position makes it easy for judges to see the details of your dog’s build and shape. This makes it possible for the judges to compare your dog’s structure to the breed’s standard characteristics. Set aside time to teach your dog to stand still for several minutes at a time. Position his paws so he learns to stand with the correct posture. Judges will examine your dog’s teeth and feel his body structure. He must remain in position and be comfortable with a stranger inspecting him. Keep in mind that smaller dogs are examined on a table so train your dog to stand on one. Conduct practice inspections with friends your dog does not know. When your dog moves around the ring, you also need to effortlessly match his gait. Practice holding him on a loose leash and matching his gait multiple times a day. Be careful to practice where your dog will have firm footing and is unlikely to slide. Do not forget to reward your dog after a practice session. 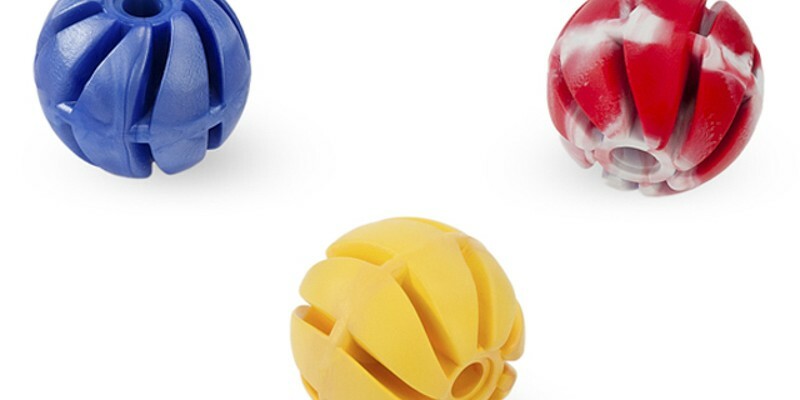 Essenti has a variety of rubber dog balls, dog tugs and fetchers, and other floating rubber dog toys that will help your dog enjoy exercising after he been practicing his stance. Keep several on hand so your dog can relax after practicing his behavior. If you enjoy traveling, you may want to bring your dog with you. Many airlines accept canine travelers, but contact the airline to check the requirements and make sure your dog meets them. Your dog will need to be confined to a kennel during the flight so choose one that gives him adequate room to stand up comfortably. Flight times vary, but your dog will probably be in his kennel for several hours or more. Before the flight, make sure he has the opportunity to go the bathroom and stretch his legs. Give your dog attention. Try to avoid feeding him right before the flight, especially if he has not flown previously. Before taking him to the airport, make sure your dog is wearing an identification tag. Label his kennel appropriately, so people are aware that a live animal is inside. Visit your vet before you take your dog on a flight, he may be able to provide medication for pet anxiety or motion sickness. Your dog may get hungry, thirsty or need to relieve himself during the flight. Place a clean towel in the kennel in case he goes to the bathroom. It will be easy to remove, which should minimize the kennel from having a strong odor. Place a bowl of water and food in the kennel so your dog will have everything to satisfy his needs. You never know when there will be flight delays. Your dog will become unhappy if he is bored or feels neglected while you are busy trying to find another flight or entertain young children. Brng a toy to keep your dog content or find out whether you can let you dog can take a short walk in the airport. Some airports enforce kennel requirements more strictly than others. Essenti offers many durable, plastic pet bowls that are perfect for traveling. Our unbreakable sturdy pet bowls stay in place securely, are easy to clean and lightweight. Essenti also has large selection of rubber pet toys that can easily be packed for travel. You have probably been in the situation where you prepare your house for company, anticipate a relaxing evening with friends and then are frustrated when your dog is noisily barking while you are trying to mingle with guests. Although your dog’s behavior may be undesirable, you can make him more relaxed around company by using pet products. Be careful to avoid neglecting your dog before your gathering. By the time your visitors arrive, he may feel threatened by unknown people in his home or your dog may want attention. Plan some quality time with your dog before the company arrives so he is content or tired by the time visitors appear at your door. Use a retractable or standard leash to take your dog for a walk before company arrives. Grab some dog toys and let him romp in the park or play fetch in your back yard. The exercise and fresh air may make him ready to relax later. When you return, fill your dog’s bowl with fresh water and food. Make sure you use a dog bowl that does not slip or slide. Even if he is not hungry or thirsty, his dog bowl will have a beverage and food available when he wants it. If you put him in a separate room after guests arrive, leave some pet toys with him. If he can entertain himself and his needs are met, he is less likely to disturb your guests. Essenti has retractable leashes, pet bowls, and scented floating rubber dog toys that will help prepare your dog for guests. Our rings, balls, discs and other toys can help make your pet tired before your guests arrive. Our non-skid pet bowls are washable and convenient. Owning a dog or puppy that loves to chew on everything from furniture to clothing can be frustrating and costly for pet owners. Puppies often chew because they are teething, but when the problem is not addressed it can easily become a habit that stays throughout their adulthood. Many pet owners restrict their dogs to certain rooms or a crate, so their dogs do not chew the wrong items when their owners are not home. When your dog chews the wrong items, you may not only have to replace them, but they could also harm your dog. You can teach your dog not to chew on certain items by correcting him as soon as you notice he chews on inappropriate items. Try to keep items that you do not want him to chew out of his reach. If you see your dog chewing an inappropriate item, scold him promptly and ask him to drop the item. Replace it with a toy that your dog can chew. Try leaving your dog a variety of toys that he can chew so he does not become bored. Introduce new toys occasionally or take some toys away for later use, so your dog’s toys remain fresh and interesting. Once your dog understands which items he is permitted to chew, he will gradually start to chew only those items. Essenti Enterprises, LLC has a variety of rubber dog toys that are suitable for your dog or puppy. We have scented dog bones, balls, fetchers, tugs, and other toys that your dog can safely chew and enjoy. Our sturdy rubber (thermoplastic) toys are safe and washable. Essenti rubber toys can entertain dogs and help relieve teething pain. It may be impractical to take your dog on vacations or business trips. A kennel may be the best place for him to stay if you are unable to leave him with a friend or relative. You and your dog may be nervous about his stay, but you can alleviate anxiety for both you by planning ahead. If your dog has never stayed at the kennel, once you select a kennel ask if your dog can come for a short stay. A quick overnight will help make your dog comfortable before he returns for a longer kennel stay. You can also take your dog to the vet before taking your dog to the kennel. The vet will be able to prescribe medicine in case your dog gets anxious while you are away. When you take your dog, make sure you have all the items and information the kennel requests. 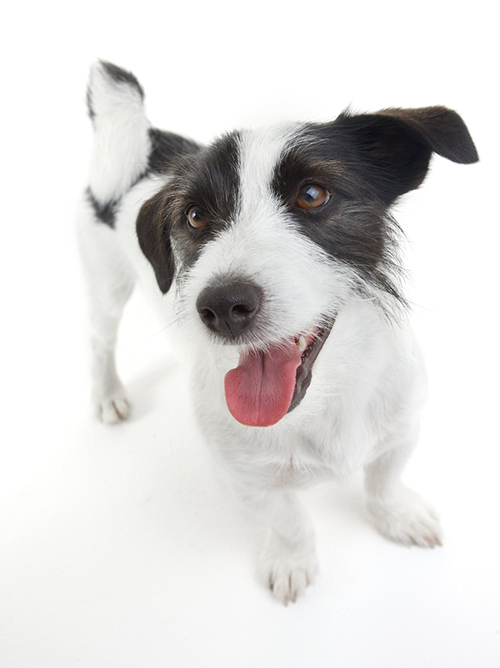 They may want your dog’s current vaccination chart, health history and may require you to provide his dog food. You can increase your dog’s comfort at the kennel by sending along some toys, a blanket, or sleeping cushion that he uses at home. You can even leave your dog’s usual bowl. Your dog will love having familiar items during his stay. Essenti Enterprises, LLC scented, floating rubber dog toys are the perfect familiar toy to accompany your pet to the kennel. Their scent makes them a favorite toy that your dog will enjoy regularly. 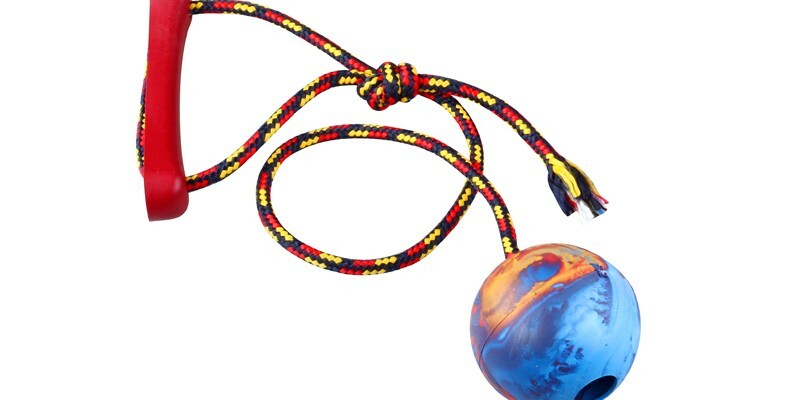 The sturdy plastic rings, pulls, and balls are easily washable. If other dogs join the play, they will wash with ease when your dog gets home. Essenti dog bowls will also make it just as convenient for your dog to eat at the kennel as he does at home. The familiar scent of his own items will help make him feel secure at the kennel. Let out pet bowls and toys help your dog easily transition from home to a kennel. When entering your dog in a show, he is judged on his behavior and his appearance. Judges evaluate your dog’s appearance based on the breed’s standards. Daily activities can help your dog maintain his appearance before you enter him in a show. Walk and play with him regularly, so he maintains a fit physique. Additionally, establish a routine for grooming and hygiene, so he remains healthy and shows well. This includes brushing his teeth, cleaning his ears and feeding him the right food. Dry food can help teeth remain healthy. While regular care and hygiene is important, you want your dog’s coat to shine during a show. Therefore, you either need to hire a groomer who is knowledgeable about grooming show dogs and familiar with the standards of the breed, or you must be adept and knowledgeable enough to perform the task. If you decide to hire a groomer, obtain referrals from other people who show dogs, contact a vet or ask for a recommendation from a kennel club. Meet with the groomer to discuss his qualifications. Pay attention to the cleanliness of the grooming area and where dogs are kept while waiting for grooming. Regardless of whether you groom your dog or hire a professional, your dog’s physique, fur and features must look their best. Your dog will be inspected very carefully, and grooming tips vary depending on the breed and the type of hair. The Low Chens Australia website, for example, provides breed-specific grooming tips. Pay special attention to your dog’s feet, nails, fur and facial features when grooming him. Inspect your dog’s toenails. If you hear them hit against a floor, they are too long. Clipping a dog’s nails can be difficult because if they are cut too short, the dog may bleed if the blood vein is cut. It is usually necessary to trim hair on longer haired dogs because it grows between their foot pads. When shampooing the dog, he needs products based on his breed and hair type. Brush your dog before shampooing him. Longer haired dogs are dried with a dryer. As the hair dries, it is styled or cut to maximize attractiveness or hide imperfections. Shorter haired dogs are often towel dried, but their hair is brushed, styled and cut to maximize their physical appearance. Grooming can take hours, but is usually more time-consuming for long-haired breeds. Essentit’s quality retractable leashes and dog toys can help dogs get the exercise they need to look healthy and fit for a show. You can also use them if your dog needs a short break from grooming. Browse our product line today. Dogs require a lot of care, but owners of abused dogs must shoulder even more patience and care to keep their dogs healthy and happy. Abused dogs are often scarred physically and emotionally, so an owner may have to treat their injuries and earn their trust. In order to best care for an abused dog, owners should learn as much as they can about the dog’s past, how the dog interacts with people and the dog’s current routine. Abused dogs may have physical marks on their body that may indicate they were mistreated or beaten. Often dogs who are abused act anxious around humans. Owners run a fine line between including the dog in the family yet allowing him space to join activities when he is ready. Some abused dogs may be on restricted diets or may require a particular mix of food that agrees with them. Discuss the dog’s diet with the shelter employees so you can provide the dog with food that agrees with his digestive system. Furthermore, the dog may be on medication which you may have to administer. Often dogs can take medication mixed with their food. Sometimes information about an abused dog may be unavailable, especially if he is rescued from the street. Have the dog examined by a vet and follow his advice. Abused dogs may also feel insecure. Provide your dog with a crate and several toys to make him comfortable. Try to adhere to a regular feeding and potty schedule so your dog gets comfortable in his surroundings. Praise him so he becomes more confident and comfortable around you. Essenti Enterprises, LLC pet products can help your dog transition to his new home and make it more comfortable for him to respond to a new family. Essenti makes sturdy plastic bowls that are ideal for feeding your dog his food. Our full line of floating rubber dog toys can also help your dog interact with others and feel secure in his own space. Our dog products can make caring for your pet easy. It is not uncommon to picture a dog happily gnawing on a cooked bone. Nevertheless, the Food and Drug Administration (FDA) is cautioning dog owners that bones can cause hazardous health problems to a canine’s internal body or mouth. Dog owners should be aware of potential problems and take appropriate safety measures to keep their dogs healthy. Sharp bones can easily cut or damage the mouth or tongue. Additionally, a dog can chip or break a tooth on a bone. These injuries can be painful and lead to costly veterinarian bills. Bones can also cause internal injuries, which may not be as obvious as a damaged mouth. Bones can get caught in your dog’s windpipe, intestine, or esophagus. Sometimes these blockages can lead to death, serious injury, or excruciating pain if your dog is not treated promptly. Blockage may require a procedure to restore your dog’s ability to breathe or swallow. A blockage to the intestines can prevent bowels from moving, and cause cramping, constipation, and other discomfort. • Seal bones firmly in a bag before throwing them out. • Walk your dog on a leash. • Do not allow your dog to go outside unsupervised. • Keep your dog satisfied by providing him with chew toys and dog food. Sum-Plast offers a wide selection of pet products that can help keep dogs safe, happy, and healthy. Our retractable leashes provide your dog with enough room to roam, but allow you to shorten his lead when you need to keep him close to you. Our plastic dog bowls are available in many sizes and are ideal for holding dog food or water. We also sell rubber chew toys, discs, and other toys that allow your dog to play and gnaw safely. Visit our portfolio of pet products and accessories to browse and purchase our products.